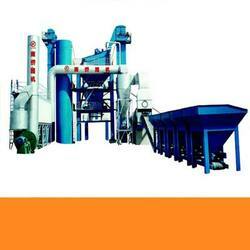 Our esteemed clients can avail from us a qualitative range of Bituminous Mixing Plant. These machines are fabricated after stringent market research and using quality raw materials along with advanced technology machines. Our range is subjected to stringent quality checks to ensure its compliance with the set industry standards and offered at competitive prices. Moreover, we also offer these machines in customized specifications as per the clients’ requirements. Looking for Bituminous Concrete Mixing Machinery ?